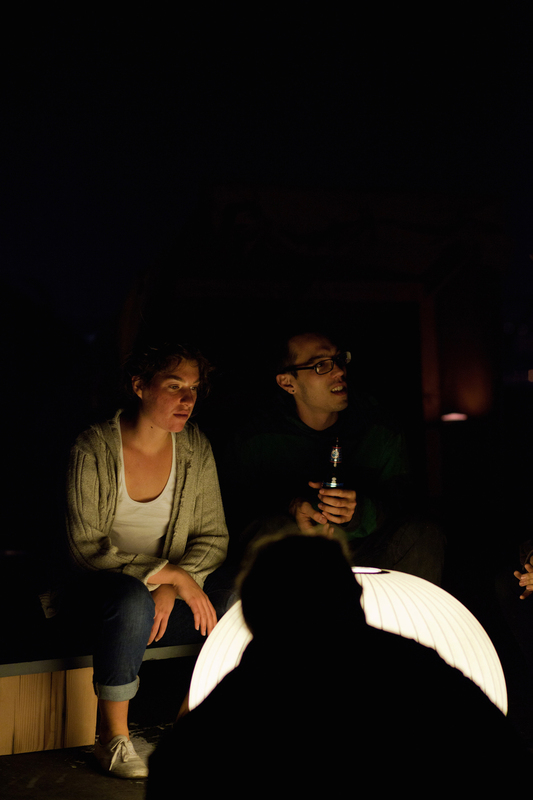 Bivouac is an urban camping experience in six artist-built lean-tos installed on the roof of a building. Bivouac's host, artist Thomas Stevenson, acts as camp counselor/park ranger, leading campers in cooking a communal dinner. 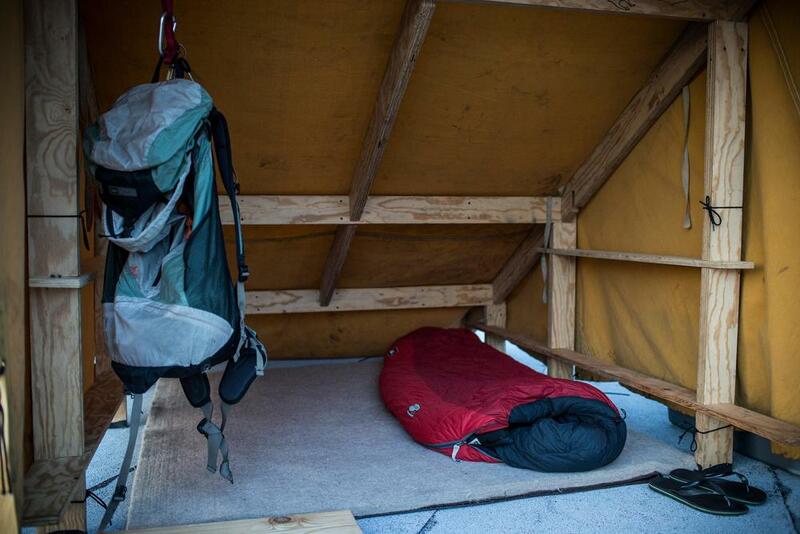 Campers bring a sleeping bag and food to share, leaving electronics behind. The project happens during late spring and early fall for a week each time. booking generally happens 10 days beforehand. Generally New York City, within walking distance of a subway. I'm always on the look out for new locations. If you have access to a roof I'd love to talk. here is what i think you need to know. if i haven't covered a topic or you have a specific question, email me thank you and look forward to seeing you! there are 6 tents. they're fun and awesome to sleep in. they're big…for a tent. most people can fully stand up in the front end. they are canvas and the flooring is 1-inch wool felt. the canvas is waterproof and the felt feels like sleeping on packed sand. each tent fits and sleeps 2 adults very comfortably with room for a 3 if you want to be extra cozy. new friends, a view, a canteen with: a kitchen area, a large reclaimed wood communal table, library and morning coffee. I ask each camper to bring at least one food item to be used in the communal dinner: a protein, a starch, vegetables (in a reasonable quantity) we can discus via email. be creative and share. sleeping bag, blankets, pillows. whatever is comfortable for you to sleep in and on. you are on a roof. be very mindful of the edge. similar to the other great outdoors, this wilderness has an assortment of opinionated neighbors (new yorkers). please be respectful and try to blend in with your surroundings. 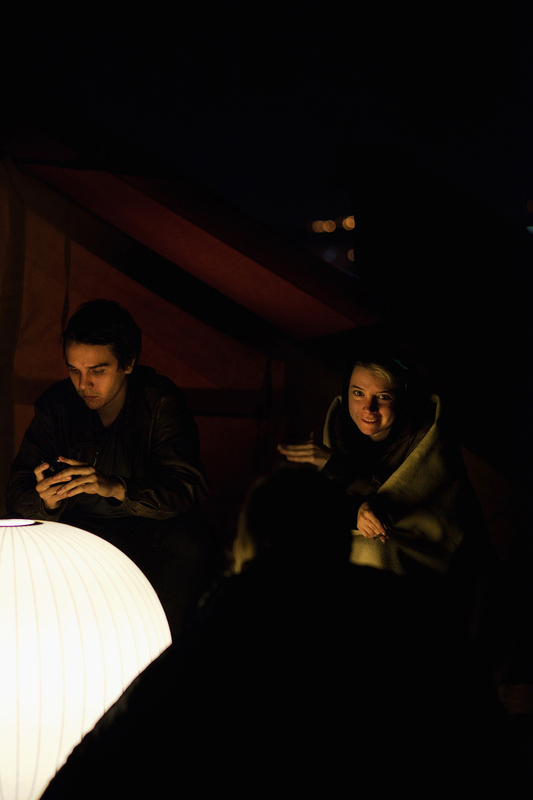 "Artist Sets Up Secret Rooftop Camping In Brooklyn"
"Artist Runs Rooftop Camp-Outs, This Weekend And Beyond"
"Go Camping On NYC’s Rooftops"
"This Collection Includes A Complete Portable Home"
Thomas Stevenson is an artist living in Brooklyn New York. He makes sculptural objects that are focused on momentary interactions that happen when people occupy the same space. His projects have been deployed in urban streets and rooftops, in the Mojave desert, at the New Museum's Ideas City Festival and Art Basel Miami, Beijing, Belarus, and Wales. His projects have been written about in the New York Times, the Village Voice, USA Today, and the New York Observer.